The dog that should be in this picture is laying underneath my lounge chair. 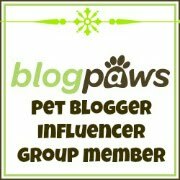 Yes, this is a dog blog. Yes, that's a horse on the cover. Yes, it's partly about horses. It's also about dogs, ducks, donkeys, cats, goats, llamas, letting go of the past and making your own way. This memoir was written by a dear friend of mine, and ever since I started reading it in rough draft form last spring, she's been encouraging me to be honest, insisting that she can take it. I have no doubt this strong, independent woman can handle my critical Capricorn book snobbery, but the truth is...I just love this book. I loved its earliest incarnation, shipped to me as loose letter-sized pages in a box and read in a single day, partly over pizza and a beer on Old South Pearl Street in Denver where I later learned Anna just happened to have had her jewelry gallery many years before she left city life in the dust of the open eastern Colorado prairie, partly at home with Ruby nestled in the crook of my knees on the sofa. I read that first draft around the same time I read Wild, about Cheryl Strayed's one thousand mile tribute to her mother and search for her self worth. 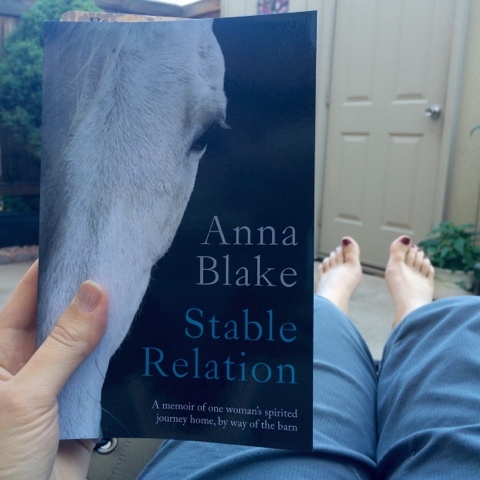 As I read Stable Relation for the third time, in its perfectly polished, striking-covered state, and again followed Anna's now comfortingly familiar but no less dramatic trail to the barn, I realized that the two books had similarly given me a kind of permission to go my own way. To surround myself with what speaks to me, whether in words or tail wags. Just like the book, my relationship with Anna is rooted in horses - she began as my riding instructor - but we discovered more in common as we discussed dogs, family, love, loss...the universal themes of life. She was a great support to me in the difficult decision to sell my young horse, the early challenges of adopting Ruby and a subtle cheerleader for failing Boca's fostering. We had many wonderful conversations over tea, muck buckets and slobbery dogs. She has hauled my horses - something that makes me almost sick with worry - from barn to barn over the past few years and last year Coro spent his summer with her, the perfect excuse for more visiting. So, you could say that I'm biased, but remember that I'm also a self-proclaimed book snob. 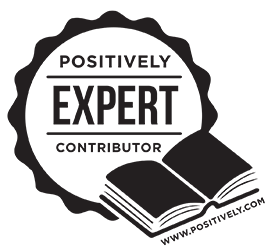 I read around fifty books a year, mainly contemporary literary fiction, travel, memoir and informative nonfiction. Every room of my house is filled with books and I obsessively categorize my Goodreads shelves. I'm stingy with my star-ratings, but Stable Relation earns every last one of the five stars. From the dedication to the final sentence, I was captivated and inspired. In "Full Moon Over Broken Glass," I feel as if I'm right there on the porch, exhausted from the first day of work much harder than imagined in that first place of your very own. In "Dogs to the Rescue" we are introduced to a timid rescued doberman and a cattle dog who lives up to his lofty name of Hero. Anna's insight into animal personalities (animalities?) is incredible. I really feel like I've met all these characters. "Die Hard on the Prairie" is a rhythmically paced account of a terrifying blizzard in which I shivered along with the horses in their snow-bound stalls. "Wild Texas Wind" describes the grace and sacrifice of an equine mother and the moonlit gift she gave. "Visitors by Bus" is possibly my favorite chapter - one animal after another astonishes with its intuitive compassion for members of an unlikely audience. Anna's dressage partner, Spirit, is the shining white thread that weaves the story together, and you will thrill to their victories and admire their deep relationship of mutual devotion and respect. In the book's final third, we follow Anna with a sense of dread and foreboding into a dark past that shattered her sense of self and belonging, and back into the healing pastures of her herd. The very best books are those with pages and passages we can hang on to like our own. For a memoir to succeed, it needs to be relatable, and in this way Anna draws us in. Even when our experiences differ, Anna taps in to the universal bond between the human who is open to listening, and the animal who has wisdom to share. 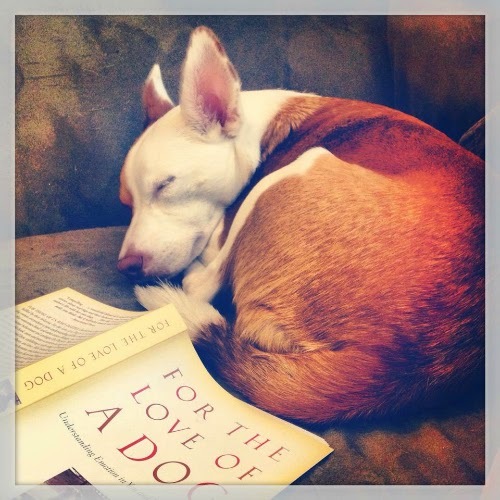 There is something for every animal lover, introvert, and independent mind here. Stable Relation is just the right length - the tidy chapters leave you hungry for more like the very best small-course meal, and by the end you realize the book contains so much more than could really fit between those covers. There is no sentimentality here - Anna describes with gutsy honesty the truth of living on a farm, both as a child and as an adult. You form a relationship with loss almost as if it were an animal of its own - a sneaky beast that finds us in snowstorms, quiet evenings or broad daylight. She manages to perfectly balance gravity with humor, the mood changing moment to moment with the immediacy of a horse's presence. I laughed at the antics of goats, ducks and donkeys. I cried at the profound and intimate impact that animals had on Anna's life, just as they have had on anyone who has allowed themselves to love in that wild and wordless way: while they are here, while they are leaving us, and long after they are gone. If you have ever saved your own life, if an animal was ever the one to save you, if you have a complicated family, if you have ever illustrated your own family album with faces you weren't related to by blood, but whose eyes and hearts mirrored your own, if you have ever been lifted by a horse or swept off your feet by a dog...you want to read this book. Anna has been teaching people how to connect with horses for years, and this book is a beautiful story of finding and connecting with your true self. Follow Anna on Facebook, at her training and writing blogs and at Horse Advocates of Colorado. Stable Relation can be purchased on Amazon, where you can read many more rave reviews, and I am giving away a signed copy to one lucky winner. The winner will be selected randomly on July 27th and will have 48 hours to claim their prize - U.S. residents only, please. All you need to do to enter is leave a comment telling me about an animal that changed the direction of your life or rescued you in some way. Edited to add: Thanks to everyone who commented with their wonderful stories of beloved animal family members. The winner of the giveaway is Katie Habgood! I was just looking at the Shutterfuly book I made for Jersey after her death, and missing her so hard. We couldn't have asked for a better dog, sweeter soul, and I wish I'd known that then. I felt the same as I was writing about Lasya on Friday. They leave us with the capacity to love more, somehow. I will never forget swimming with worried Jersey - she so obviously would have preferred to not be in the water, but she was staying in as long as we were. Additionally - even if you don't win, everyone is getting this for Christmas and Hanukkah. Hooray! Lucky me!! Thank you so much! Gracie sounds like exactly what you needed! I actually did not like dogs growing up at all. Then we adopted Mr. N and my life is much more dog-centric lol. It's funny how they sneak in, isn't it? Sounds like a lovely book! I've been a dog person all my life and thought I knew what I was getting into when I brought Barley home from the shelter--but she's shown me that I knew next to nothing about dogs and has helped me learn more about myself, too, through all of our training. Once upon a time, any time my parents would pull up to a historical marker, I'd sit in the car while everyone else explored--last summer, I planned an entire vacation to hike in the footsteps of some of my favorite historical figures with Barley! It sounds like Barley has shown you a whole new world! As much as I love the outdoors, I'm such a bookworm that I know I would get a lot less sunshine if I didn't have dogs, and I love them for that. That sounds like a fabulous book! I absolutely love memoirs and this one sounds amazing. I've been following the author since the last time you recommended her and I am definitely wanting to read the book. I think both of my dogs have helped me in some way or another but Phoenix was the dog that changed my life and taught me so much about positive training and working with fearful dogs. I owe everything to her. I love following your progress with your sister dogs and know how much they mean to you. My first Scottish fold, Lorna Doone (who I always called my psychic cat), was with me all through cancer treatment 21 years ago, cuddling up to comfort me after every chemo treatment. While I was still going through it, she died of cancer even though she was only 7. To this day, a part of me still believes she took the cancer from me so I could live. Sounds crazy, I know, but there you go. I love Scottish Folds. Lorna Doone helped you heal beyond a doubt, and they way you tell the story of you both lends a mythical quality to it. Nothing crazy about that. I love these comments. We are so blessed by the good animals in our lives, and maybe doubly blessed by the "bad" ones. Thanks everyone. Hope you like the book. I like mixing it up with some of each. My first dog really changed my life especially with his reactivity issues, now I think about dog behavior everywhere I go! this book sounds great. Reactive dogs are intense teachers! I need something in my life to go away so I have time to read again. My to-read stack is ridiculously high and now it seems I need to add another one to the pile! This seems like a great read. I despair often that I will never get to all the books I want to read in my lifetime. Right there with Beth, Lauren and Zippo. Habi's reactivity changed our lives immensely for the better, after the first year of despair and searching for answers and ideas. Yes, Anna - we were doubly blessed by her challenges, Now, seven years on, Habi is happy, comfortable in her own skin, and everyone comments on what good manners she has. And I'm a nicer, calmer, more patient (well-mannered?) person myself. Ruby and Boca have both taught me so much as well. Thank goodness for our wonderful dogs. I'm interested in reading this book. I'm looking for a new book to read. Ace has changed my life in so many ways. He got me involved in fostering and animal rescue. He helped me to leave my job and start a dog walking business. He helped me start a blog! What would we do without our dogs? Ruby was the inspiration for starting my blog, too, Lindsay, and making dogs a bigger part of my life in general. Animals have really led the way for most of my major life decisions - I went to school with the dream of being a horse trainer! I think ALL of our animals have changed my life in one way or another. Since I've been married, we've had 10 cats and 5 dogs and every one was wonderful and special in their own way. I have only one cat left, and although I adore him, I miss all of the others. The enrich your life in so many ways!